Twix Mini Bars are a crispy cookie topped with caramel and covered with milk chocolate. 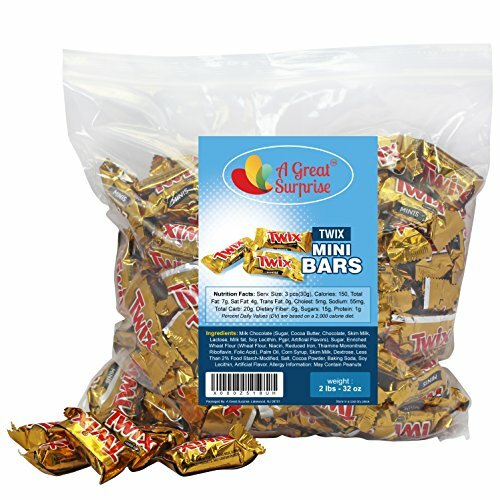 In every bite, you get gooey caramel and rich chocolate with just the right bit of crunch. Twix Mini Bars are a crispy cookie topped with caramel and covered with milk chocolate. In every bite, you get gooey caramel and rich chocolate with just the right bit of crunch. Buy in bulk to save money. Approximately 45 pcs per pound. Includes 2 lbs. Resealable bag for easy storage.